Farmers have long understood the importance of quality feed in producing high-quality meats. 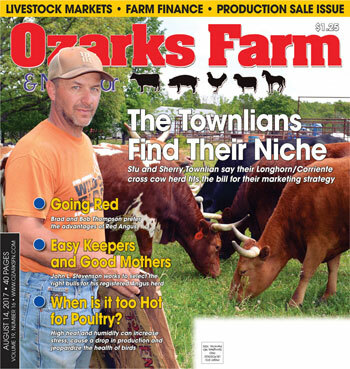 Terrell “Spence” and Carla Spencer of West Fork, Ark., began a pasture poultry operation, called Across the Creek Farm in 2008 with 30 hens and are constantly researching and refining their operation with a significant emphasis on management and feed quality. The business has blossomed over the years to provide around 15,000 broilers to wholesale and retail customers in Washington and Benton counties. The Spencers daily move three large 20-foot-by-40-foot movable houses and 30 10-foot-by-12-foot smaller custom poultry houses for their operations, in addition to managing a farrow-finish hog operation and a small meat goat herd. 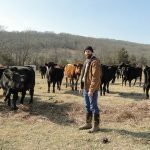 Their pasture raised meats are sold to restaurants and grocery stores in Northwest Arkansas, as well as at the Fayetteville Farmers Market. 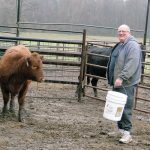 During the growing season, the farm receives 15 to 24 tons of Hiland Naturals non-GMO feed every two to three weeks, with feed being tested regularly for 90 types of pesticides. One reason for using Hiland Naturals is that the Spencers wanted their feed grown as locally as possible. Their feed soybeans are roasted rather than solvent treated, a process that can leave chemical residue. The roasted soybeans also creates a full-fat bean with a nuttier flavor that grows a tastier bird. The Spencers also use fish meal instead of synthetic protein sources, creating another layer of poultry flavor. Equally important is the nutrition the chickens receive from daily rotational grazing, which provides grass, legumes and insects, a significant portion of their diet. The Spencer’s raise chickens from late February through Christmas, but do not raise birds during the heart of winter, giving their flocks, pasture and family a break. They also produce holiday season broad-breasted white turkeys and, as of this year, a French breed meat duck. Through trial and lots of errors, the farm’s chicken shelters have undergone modifications in order to allow movement and access to sunlight and fresh pasture while minimizing predation from coyotes, raccoons and hawks. These newer shelters still promote overall health due to clean living conditions and constant movement but minimize predator issues. The adaptations also help to keep flocks separate and enable better pasture management. As with any poultry operation, biosecurity is essential to prevent cross-contamination issues. The Spencer children, Simeon (9), Silas (7) and Gwen (4), do not show animals in local fairs and the family avoids visiting other farms to avoid those issues. “The commercial poultry industry really began in America and moved to indoor systems to solve problems with efficiency, predators and disease. You have to understand why animals moved indoors if you’re going to raise them profitably outdoors, or you’ll end up with the same problems they faced decades ago. Daily rotation using the movable houses provides a cleaner environment and eliminates the need for antibiotics and coccidostats. Poultry are no different than people. If they live clean, they stay healthy. One particular hard nut to crack, however, is labor but we’re getting better,” Terrell said. Another aspect of the Spencer poultry business is a working relationship with B & R Processing in Winslow, Ark., a USDA processing plant. The farm partnered with B & R to put in an inspected air-chilled poultry line. Taking over their processing allows Across the Creek to really focus on their quality. The hog operation consists of four sows and two boars, and produces two litters per sow a year. The pigs are also fed a non-GMO custom ration for pigs. Like the chickens, access to forest and pasture provides a significant dietary component, especially fall acorns and lush spring grasses. The Spencer method of farming not only raises superior quality meats but also actively improves the land. Terrell and Carla bought their first 37 acres in West Fork in 2007 after Terrell returned from a year-long combat tour in Iraq and nine years of service in the Army. The soil was poor and highly eroded and the land rocky and steep. 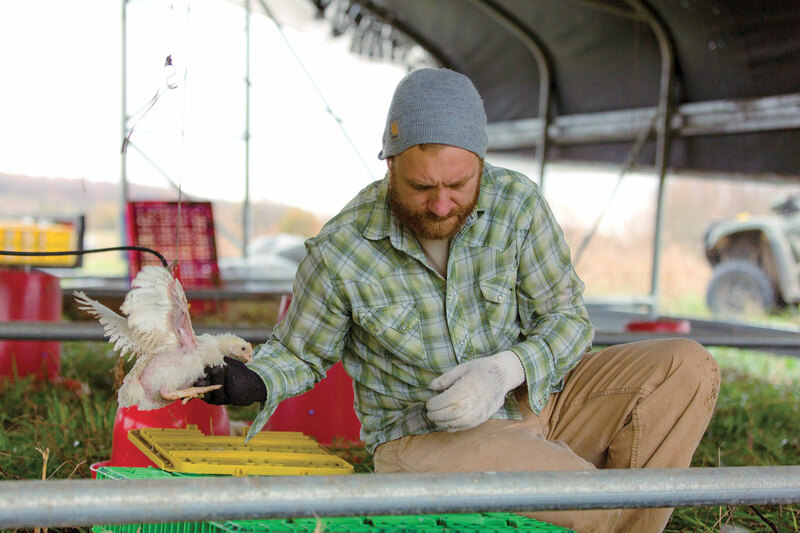 Suffering from PTSD, Terrell hand-cleared his land and began raising chickens for therapeutic purposes. Several years later, the farm got access to another 20 acres just south of Fayetteville from a local land trust. Their farming practices have significantly improved land quality. The light and frequent applications of chicken manure promoted an explosion of pasture density and diversity. Pastures now have significant amounts of Orchard and Johnson grasses, as well as both red and white clovers with some Bluestem starting to appear. In addition, daily chicken rotation means the land is given sufficient time for growth and recovery with manure decomposition taking place usually within one week. As a result of his military experiences, Terrell is an active mentor in veteran/agriculture programs. 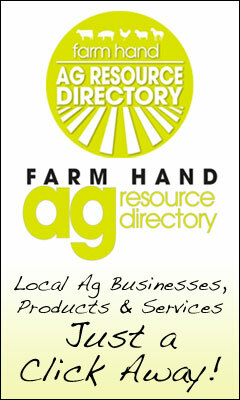 He serves as a board member for the Farmer Veteran Coalition which promotes veterans in farming. 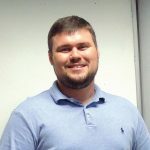 Terrell is also President of the American Pastured Poultry Production Association (APPPA), a national organization of hundreds of commercial farms whose purpose is to promote pasture poultry production.